This CNY, Travel Home to the Republic Of Conscience for FREE! Spring Festival is a time for happiness and reflection on the successes of past year. Traditions evolve and adapt over time. In this new era of increased pollution, climate change, economic uncertainty and rapid social change, our families need to learn to modify, adapt and enhance our traditions to reflect the realities of the world around us, leading us all to success and a Lifestyle Of Health, Happiness And Sustainability (LOHHAS). At this time of year, when people travel back to visit their relatives in their ancestral homes, it’s the ideal opportunity for family fun, social progress and harmonization and facilitating How China Saved the World. 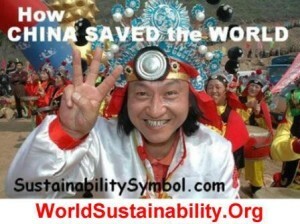 Be the first in China to pose for photos with the 3 Finger Symbol at Landmarks and Monuments around your own community, or in communities where you are visiting. 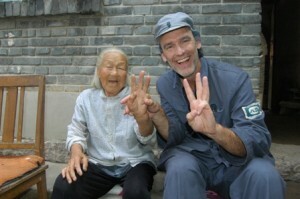 Share the meaning of 3 Fingers with strangers and take a photo of them at the landmark with their camera. 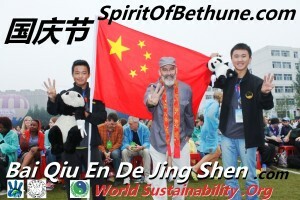 China’s many social pressures and problems would be made easier if people made more frequent visits to the Republic Of Conscience and lived the description of the “Spirit Of Bethune”. This entry was posted in Uncategorized and tagged 3 Finger Photo Contest, 3fingerw, 春运. Bookmark the permalink.